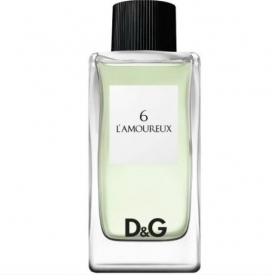 D&G 6 L'Amoureux first has an exhilarating rush of bergamot, juniper and pink pepper. This is rooted in a cadamom, birch leaf and orris heart, before bedding down into a sumptuous blend of wood and musk.The result is romance's very essence. An incurable romantic in possession of an inherant nobility, dashing L'Amoureaux melts the most cynical of hearts. Desired by all he meets, this charmer is all about intensity. Very pleaseant fragrance if a little less manly than Le Bateleur but it shares the same issue of longevity and projection. Nothing objectionable and a good price.